Peter Brook is known internationally as a theatre visionary, and a daring experimenter on the cutting-edge of performance and production. This book concentrates on Brook's early years, and his innovative achievements in opera, television, film, and the theatre. His productions are viewed separately, in chronological order, suggesting Brook's developing and changing interests. 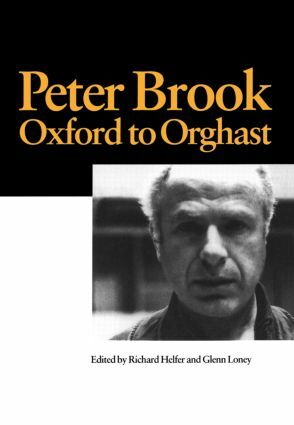 The authors include thought-provoking interviews with Brook (and with numerous outstanding artists who have worked with him) and bring to the reader penetrating critiques of Brook's theories and practices as a man of the theatre.